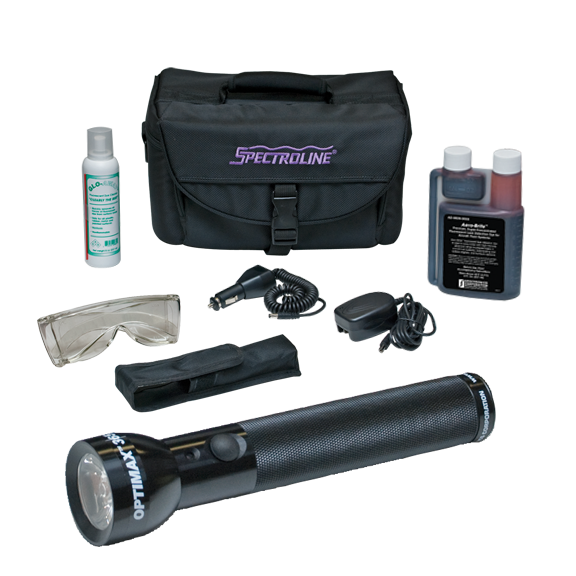 The most complete kit for finding leaks in aircraft fluid systems. Works with all petroleum- and synthetic-based lubricants and fluids! Prevents expensive equipment breakdown and potential safety hazards. Ideal for pinpointing leaks in fuel, lubrication and hydraulic systems. Smart AC and DC chargers. AC charger available in 120V, 230V, 240V or 100V versions.